Have some queries? Want to have a discussion with us? We'd love to hear you. Contact us today. We are reachable 24X7. If you want us to contact you, please fill up the following form. You can also contact us by phone. 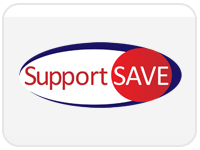 We'll walk you through the services and answer any questions you have about SupportSave. This information will let us know more about requirements. Any additional details that we should know about?